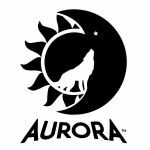 Aurora is a French game publisher created in late 2017 by Alexis ANNE. Its first game is Edamame which should be launch at Cannes 2018. The logo is a reference to the french expression "entre chient et loup" also called the blue hour. It's because the owner of the company likes to give advices to other players. The problem is you may never know if they are good or bad for you. Told otherwise, is he a dog or a wolf ? It's hard to know. Or at least, let him think it's hard for you, it may give you some advantage.